The phone is very much like the Note version of the Galaxy S8 in that it’s much more squared off from the S line. It’s still very much an Infinity Display, though. 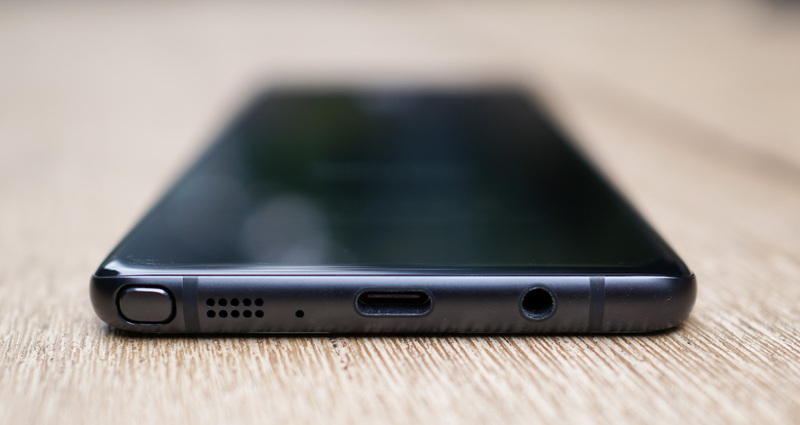 You can also catch a slight view of the S Pen (bottom right), along with power button (right side) and combo situation with the volume and Bixby button on the left. UPDATE: And now we have even more Galaxy Note 8 pictures, this time showing all angles and the S Pen. UPDATE 2: And now a comparison of the Note 8 to the S8+ and S8!